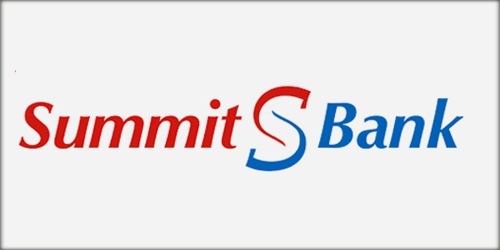 It is a broadly described annual report of Summit Bank Limited in the year of 2013. During the financial year, Total Assets of the Bank stood at Rs. 125,560,035 billion compared as Rs. 134,385,195 billion in 2012. Deposits and other accounts of the Bank were Rs. 106,351,042 billion. The Share capital of the Bank stood at Rs. 10,779,796 billion. The Bank has successfully reduced its operating loss to Rs. 1,407 million as compared with a loss of Rs. 2,525 million for the year to 31st December 2012 (before tax). The net markup income of Rs. 848.553 million during the current year showed an increase of Rs. 721.227 million or 5.66 times that of the previous year which stood at Rs. 127.326 million. Basic and diluted (loss)/earnings per share (EPS) Rs. (2.54). The paid-up capital as of 31st December 2013 of the Bank was Rs.10 billion. However, the equity of the Bank (net of losses) as of 31st December 2013 amounted to Rs. 3,182.812 million. During the year, the Bank has issued 215,595,916 listed convertible, perpetual, irredeemable, non-cumulative preference shares of Rs. 2.156 billion to raise the equity of Bank.